When the peasants of Europe began to read the scriptures for themselves during the Reformation, their ideas of justice started to change. What right had feudal overlords to enslave and fleece them, who were their equals in Christ? Increasing resentment against the heavy exaction of the feudal system, crop failure in Stühlingen, Germany, the writings of Luther and new Bible-derived notions of the equality of man precipitated the tragic Peasant's Revolt of 1524-1525. On this day, August 24 1524, a leader named Hans Müller gathered a few Stühlingen peasants around him. Calling themselves the "Evangelical Brotherhood," these men swore to emancipate the peasants of Germany. Their twelve-point platform anticipated the liberties which would actually be achieved throughout Christendom after many more years of struggle. 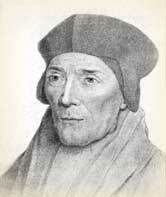 It was based on Zwingli's teachings. Among its demands were the right for local congregations to choose and dismiss their pastors. Tithes should be collected justly and used for the modest support of pastors, the rest given to alleviate the poor. Serfdom must end; what right did men have to hold other members of the Body of Christ in thrall and work them like animals? The oppressive rents charged the peasants must be eased. Death taxes must be eliminated, for they robbed widows and orphans. The peasants agreed to be corrected by scripture if any of their demands should be shown to be in error. Luther at first took a middle ground between the nobility and peasants, acknowledging that many of their demands were just. However, little was done to remedy the peasants' complaints. The violence which followed might have been avoided if the masters had been willing to redress the serfs' grievances in good faith. 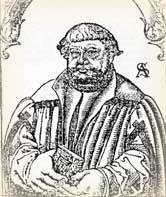 Led by men such as Thomas Muntzer, who wanted to "destroy the godless," the peasants revolted. Luther became frightened by the spreading rebellion and urged in violent terms that the revolt be put down. The war-skilled rulers crushed the revolt everywhere with great cruelty. Over 100,000 peasants died and the misery of those who remained worsened. The victors destroyed their farming implements and homes and increased their tax burdens. As a consequence, the strongest groaned under increased oppression and the weak simply perished. The peasant revolt remains one of the sore spots in church history. Bainton, Roland H. Here I Stand; A life of Martin Luther. New York: Mentor, 1962. Durant, Will. The Reformation; A history of European civilization from Wyclif to Calvin: 1300 - 1564. The Story of Civilization, Part VI. New York: Simon and Schuster, 1957. Friesen, Abraham. 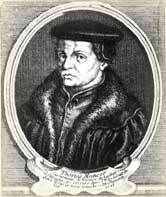 Thomas Muentzer, a Destroyer of the Godless; the making of a sixteenth-century religious revolutionary. Berkeley: University of California Press, 1990. McGiffert, Arthur Cushman. Martin Luther, the man and his work. New York: Century, 1911. 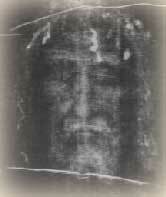 Source of the image. Muentzer, Thomas. Revelation and Revolution: basic writings of Thomas Muentzer; translated and edited by Michael G. Baylor. Bethlehem: Lehigh University Press; London ; Cranbury, New Jersey: Associated University Presses, 1993. "Muntzer, Thomas" and "Peasants' War". The Oxford Dictionary of the Christian Church. Edited by F. L. Cross and E. A. Livingstone. Oxford, 1997. 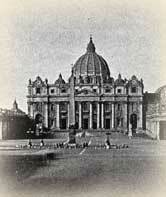 Various church histories and encyclopedia articles.